A non-flammable, neoprene-based primer for use in interior OR exterior applications of NAC sheet membrane systems. 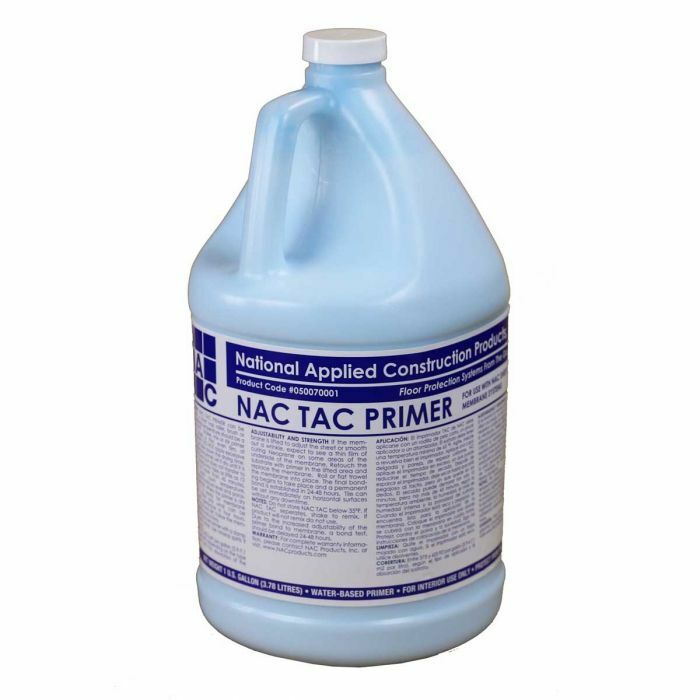 NAC TAC is a non-flammable, neoprene-based primer for use in interior OR exterior applications. NAC TAC is a pre-mixed formula that requires no thinning, establishes a permanent bond in 48 hours and will not re-emulsify. NAC TAC will cover 375-425 square feet per gallon depending on applicator type and porosity of the substrate.